Your place for Chinese dramas, Korean dramas and more with a soft spot for wuxia and anything historical. Imagine a panda watching dramas past the wee ours of the night, that's us. 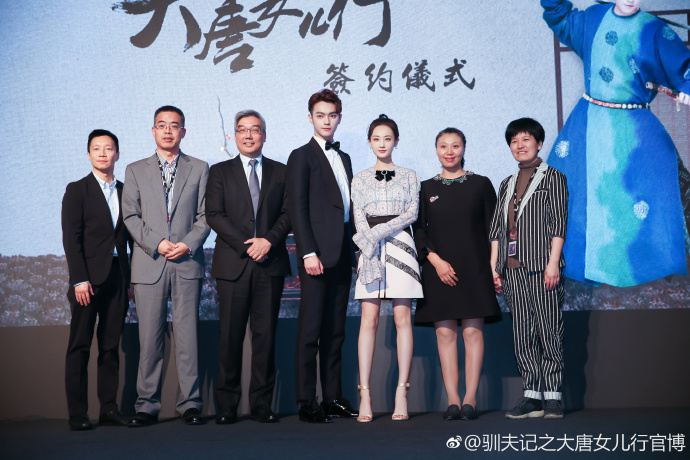 Xu Kai and Li Yitong flew to Hong Kong to attend a press conference yesterday to mark the contract signing between TVB and production company Huanyu Film for the distribution rights to Tang Dynasty Women (lit.) 大唐女儿行. It can be remembered that TVB and Huanyu Film also cooperated to air Story of Yanxi Palace in Hong Kong. Xu Kai and Li Yitong got to talking about their characters. Li Yitong describes Tang Dynasty Women as a drama filled with love and affection. 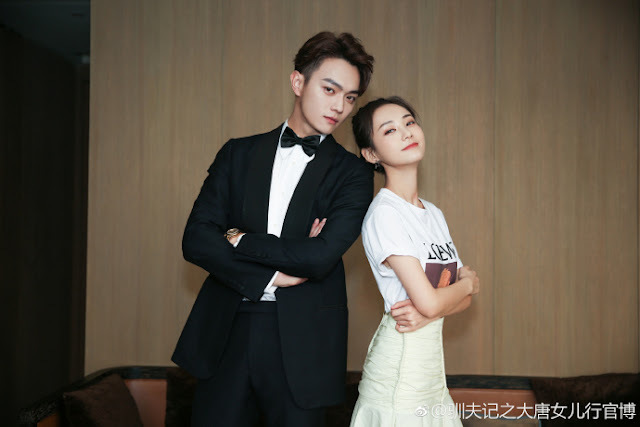 She also says that there is a loving relationship between her character and Xu Kai's that are mixed with emotional complications. Her character Fu Rou is a kind girl with a strong heart. 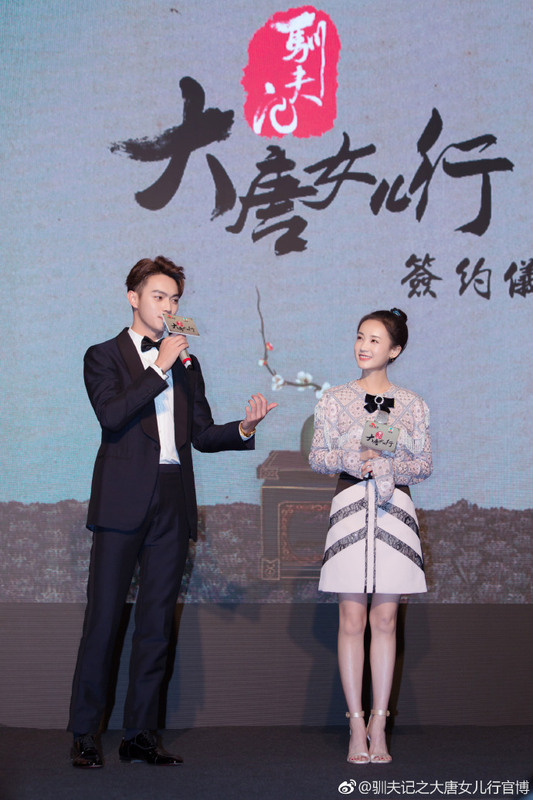 Xu Kai also talks about his character Cheng Mo. He describes Cheng Mo as someone with an attitude problem and comes from a rich family. Xu Kai says that Cheng Mo who was once a cynical man has a change of heart after meeting Fu Rou and Cheng Mo will often get jealous because of her. Xu Kai also shares something quite personal. After doing so many period dramas, he said that his hairline has started receding which is why he has been looking into hair implants. Nonetheless, he says that he will still look at the script, if it's a good one, he'll shave his head for it. He admits that in a few years, he will probably really need hair implants because of his high hairline. On the topic of receding hairlines, Li Yitong adds that she can relate and also comments that despite having the same problem, it won't stop her from filming as long as the script is good. I will watch anything with Xu Kai in it. 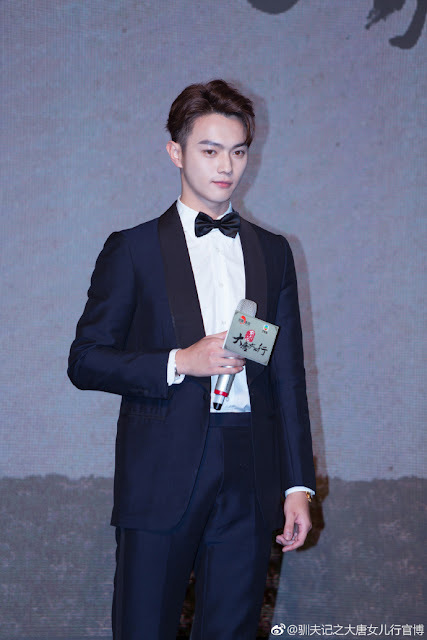 He is one of the few young actors who impressed me with his acting after Yanxi Palace and The Legends.